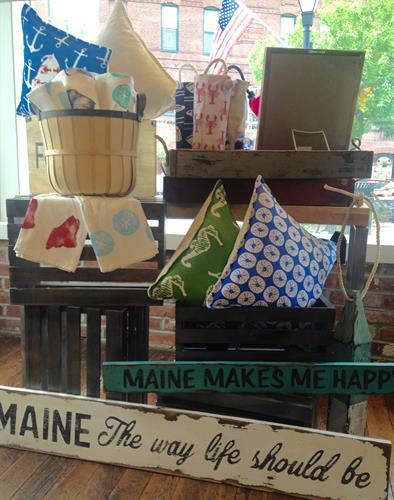 When you visit FOUND you will discover Maine creativity at its tangible best. We have handcrafted furniture and home furnishings, domestic wares, pottery and glassware, handmade jewelry and accessories, and beautiful gifts for every occasion. FOUND has a distinct style – minimalist without feeling sparse, full of variety without the tchotchke. Nostalgia is everywhere. The oversized windows harken to days of walking one’s hometown streetscape, and the squeak of the screen entry door before it slams back into position reminds us of summer camp. As you travel the 135-year-old, wood plank floors you will notice a distinct aesthetic to both the shop and its products. There is a uniqueness to Maine-made creations that features rugged quality, a creative edginess, and earthy inspiration. When you select something from FOUND, you know you are purchasing a handmade item from a Maine artist or craftsperson. If you would like to learn more about one of our items, just ask us. 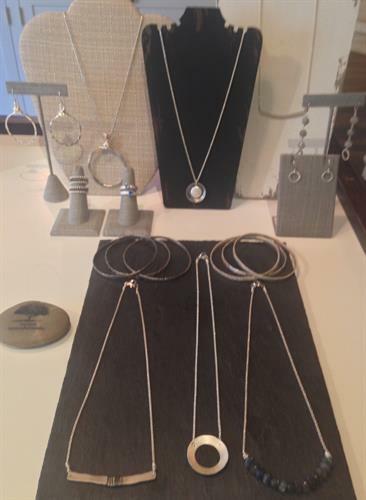 Each artisan at FOUND is carefully selected, and we know their story and would love to share it with you!